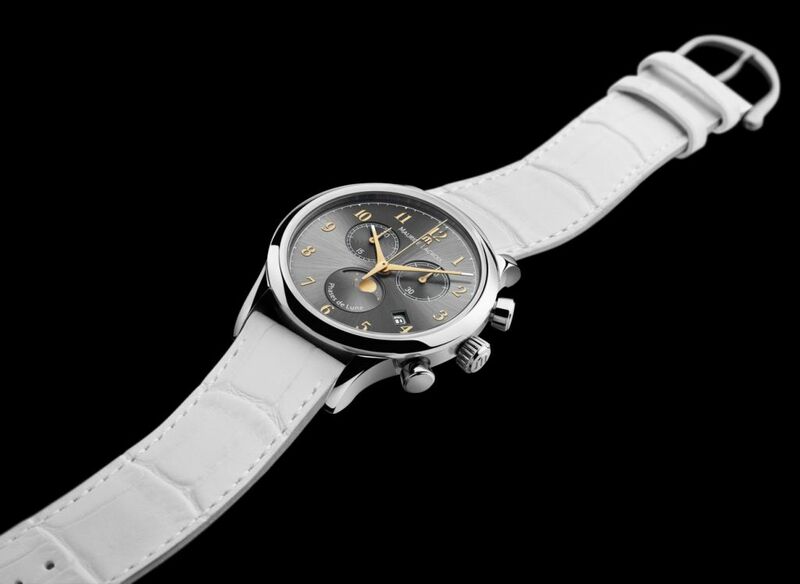 Swiss watch brand Maurice Lacroix unveils a new ladies quartz chronograph watch with a moon-phase indication from its Les Classiques Collection. This watch measures and displays the passing of time in a spirit of gracious harmony inspired by tradition. Its two counters placed side by side are the very embodiment of harmony. The moon phase indication, that most poetic and feminine of watch complications, has already chosen its place at 6 o’clock. The date display has ventured a note of eccentricity by positioning itself at an angle at 4 o’clock. Water-resistant to 30 meters, the 38 mm diameter stainless steel case offers the choice between three dials. The contemporary option consists of a satin-finished sunray-effect anthracite-gray dial with hands and Arabic numerals in gold or steel. 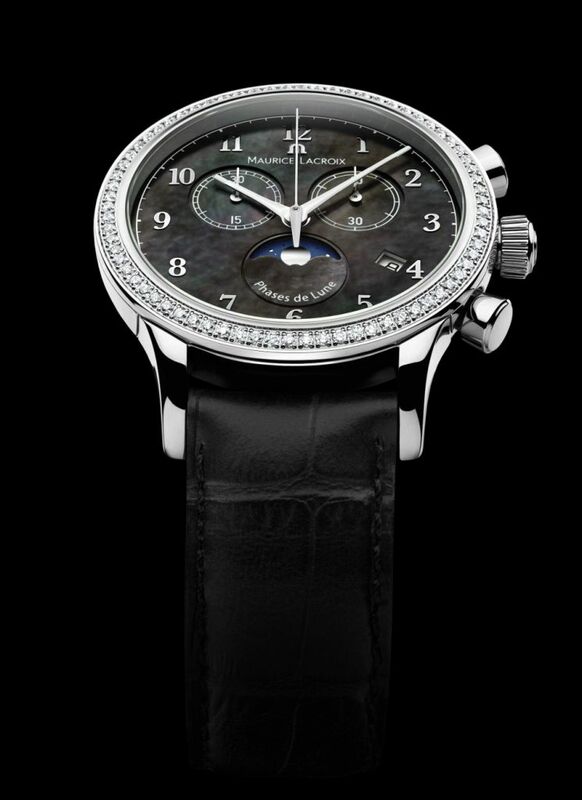 The romantic version has a black mother-of-pearl dial surrounded by a diamond-set bezel. The hours and minutes hands are enhanced with Superluminova to facilitate reading the time in the dark. The 30-minute and 60-second counters are situated at 10 o’clock and 2 o’clock respectively, while the quarters of the moon are displayed at 6 o’clock. This model’s perfect balance brings to mind the classic watches of the past for which harmony is key. The Les Classiques Chronographe Phases de Lune Ladies watch, which is operated by a new quartz movement, is available with a leather strap or a metal bracelet.